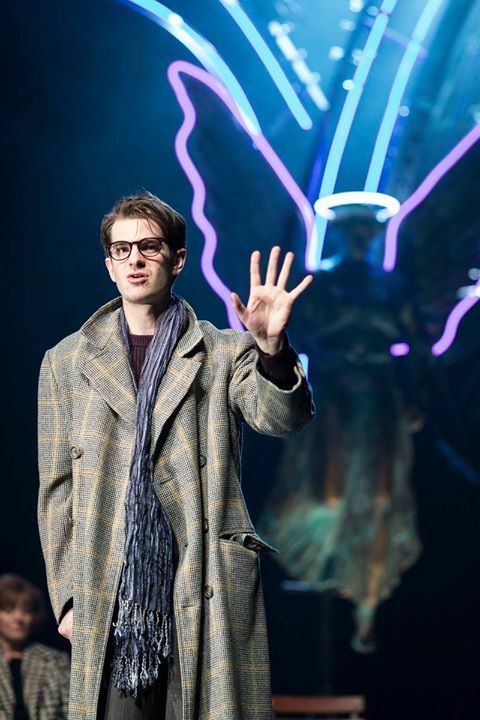 Tonight, the curtain will rise in the Walter Kerr theatre, and Angels in America will be back on Broadway for the first time in over 20 years. I have a more historical, academic post planned for opening night. And it feels right to somehow mark the day on this blog. But for the moment when Angels ‘flies’ again on Broadway I thought I’d do something a little more ‘from the heart’. And that’s exactly where I feel it. I think about the play starting performances again tonight, I think about this production getting ‘more life’ and I feel that surge in my chest. Of love, of pride of some kind of aching need to be there and see it myself. And a sense of excitement for all those about to see it. To experience the play for the first time. Or to experience this production. 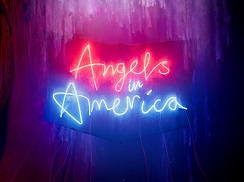 I was asked last weekend ‘So why do you love Angels in America so much anyway?’ To answer that question is to try and articulate decades of work, and whatever weird personal connection some girl from Cardiff, born around the same time the play started being written feels. The honest answer is: I have no reason to feel so personally connected to this play. I am not from New York, I was not affected directly by Reagan or AIDS, I have never had an Angel crash through my ceiling. And yet I feel this play in my very soul. And surely that is answer to why this play is so special. As for the logistics of all that. This long drawn out affair of the heart with a 7-hour epic theatre piece. As several posts on this blog attest. There are some works that you find, or perhaps find you at the moments you need them most. Or because you need them to find you. I can’t picture what my life would be without Angels. And don’t get me wrong on some days I curse this play and everything in it for the life course it put me on. But without it I wouldn’t be who I am. And perhaps that sounds overly dramatic. And maybe it is. 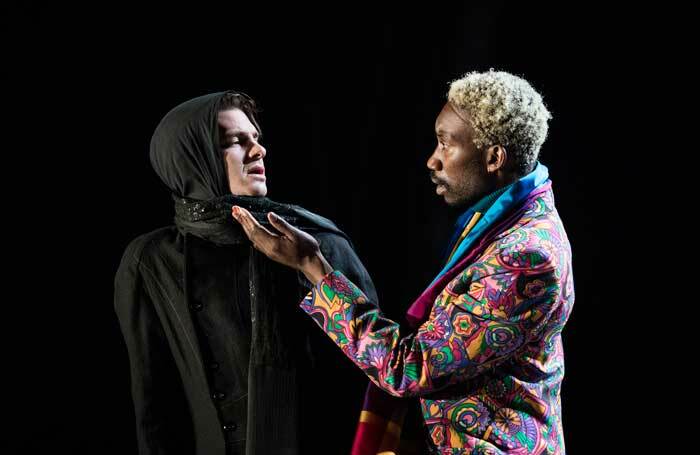 Maybe it is my combination of ex-ex Drag Queen and Louis-ness coming to the fore (and who could blame me, with decades of this play entwined with my consciousness). But there’s so much this play has brought me. So much it has taught me. I have such love for these characters. I admire Prior for his resilience in the face of the worst moments. And I revel in his humour in those moments. My heart breaks for Harper and soars as she flies (literally) away from everything that broke her and built her up again. I smile at ‘Mother Pitt’ as she struggles and triumphs in a world that flies against everything she believed. I take delight in cheering on Ethel. I want to dance with the Prior-Priors. I want to crash through ceilings like the Angel. I will Joe every time to just get it together enough, to see some sense. I want to be Belize. I even manage to every time, almost, almost forgive Roy, but instead have political fires lit in rage at all he stands for. And Louis, dear Louis, I know I’d struggle not to do the same. And as a piece of theatre, little else, even in all these years quite touches it. A play that you could do in a black box, with 8 actors and some chairs and have the same impact. But that also lends itself to soaring spectacle. “Theatrical Magic” is a term that’s thrown around too easily. But Angels has it. It’s in Kushner’s words, but also the space between the words he leaves for those theatrical teams to do what they do best. You can close your eyes and listen to the politics manifested through poetry. Or you can open them and see is made real-yet-fantastical through the most theatrical of magic. And as that curtain rises tonight that’s what will happen. I’ve written 1000s of words, and have 1000s more (I’d better, I signed a book contract to that end). But in this production the actors could create that magic in a black box. In all the years of looking at this play some of them make things out of the words I never imagined were there (yeah that’s you McArdle). And some just make it so much their own that it’s hard to imagine anyone else doing it again (looking at you Gough) and some you could watch forever (Ms. Brown). All could tell the stories of these characters with not much more than themselves. But what they are given is a gift of a production. Built again from the ground up, this production seems to throw away what has gone before in the best possible way. 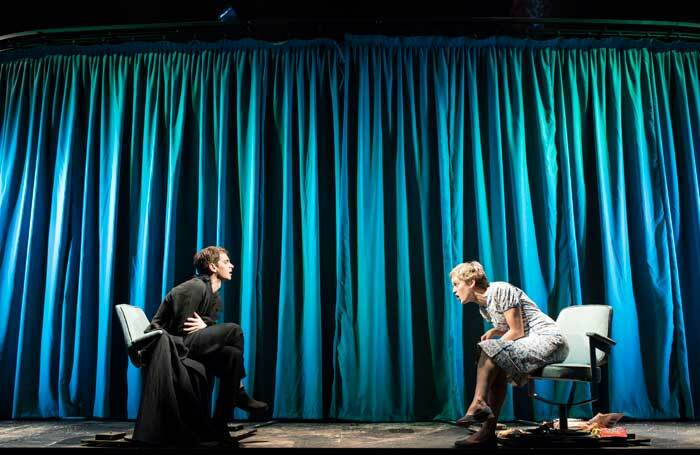 And Marianne Elliott creates magic out of Kushner’s Epic. In it the ‘wires show’ as Kushner intended, but it’s at once utterly fantastical, theatrical magic, but with a raw human honesty at it’s core. In short it has heart and soul which is pulled from the play onto the stage. Decades steeped in this play make me one of it’s harshest critiques. And this production made me feel I’d seen it again new. Personally, it renewed my faith in my own work, and on a highly personal level myself. This play is so personally important to me, and I felt like this production gave me that back. On a professional, or simply human level, I can’t wait for New York to see that. 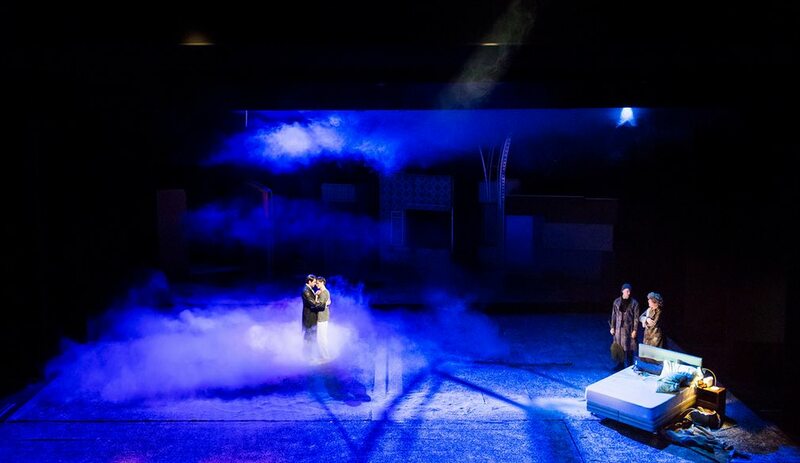 My work, as this blog, everything I’ve written and everything I will write about the play says, is not about the work in isolation. It’s about what it has meant to those who performed in it, worked on it and of course saw it. 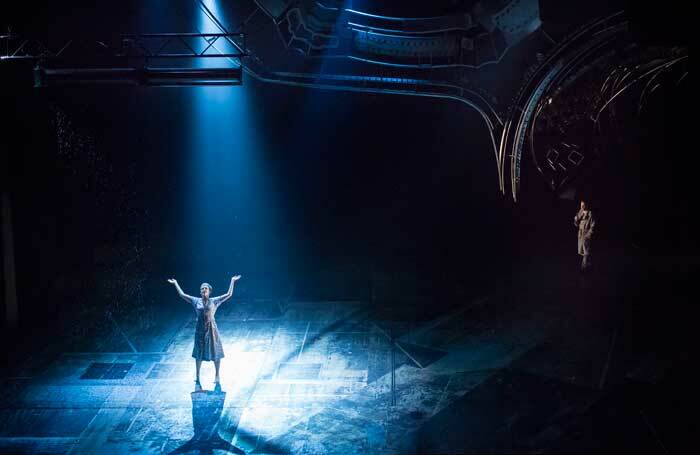 From those first workshops, through Broadway, through London, through the HBO version, through 1000s of college productions and regional theatres, all the way back to London and now tonight back to Broadway. Tonight, Angels flies again on Broadway, and a little piece of my heart is with a play that reached out of nowhere and took the course of my life with it. And I sit (well sleep by the time it opens) 1000s of miles away wishing this really special production, with such a special company ‘More Life’.